A Comprehensive Introduction to a Dynamic Field More modeling.more controls.more electrical and mechanical devices.. 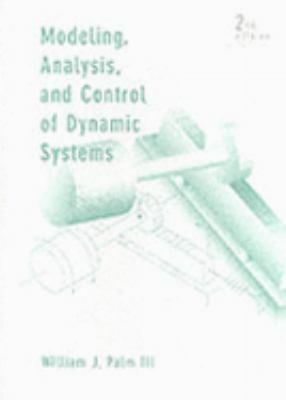 The second edition contains more coverage of key topics for a comprehensive introduction to dynamic systems and control. This includes modeling and analysis techniques, the fundamentals and applications of control systems, transfer functions, sensitivity and robust control, and digital control. Engineering design is also emphasized throughout the text with case studies, design examples, problems, and extensive hardware coverage. Key Features of the Second Edition * Extensive coverage on modeling is expanded to four chapters. The selection of engineering examples and the clear writing effectively relates the math methods to the real world. * Laplace transform response techniques are introduced as needed in the context of engineering applications. This approach clearly demonstrates the need for and the power of these techniques. * Case studies are integrated throughout the text to provide in-depth treatment of practical engineering applications such as motion control system design, electromechanical system design, vehicle suspension design, and aircraft response modes. * Optional sections at the end of each chapter introduce Matlab commands and applications relevant to the chapter's topics. * Digital controller design using Matlab is covered without the need for z-transform theory.Palm, William J. is the author of 'Modeling, Analysis, and Control of Dynamic Systems', published 1999 under ISBN 9780471073703 and ISBN 0471073709. Loading marketplace prices 33 copies from $30.84 How does the rental process work?